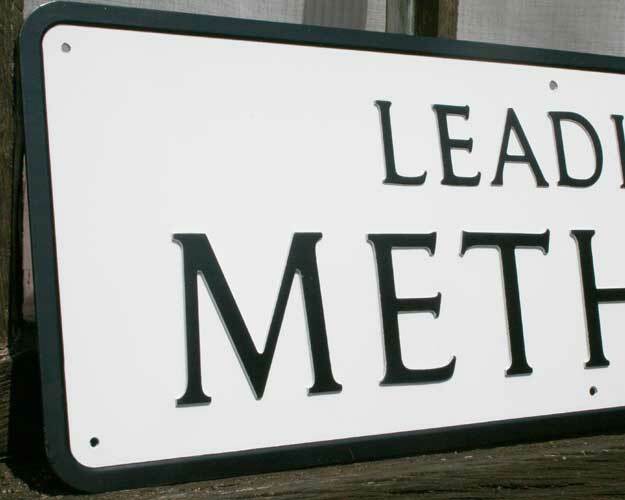 Die pressed aluminium street signs are very popular with councils and estate managers. Being a budget sign they are suitable for areas that have financial restraints whilst remaining a clear and sustainable product. The sign panels are manufactured from 11swg aluminium. Letters being stamped from the back to provide shallow relief. The aluminium plate is finished with a background and letter colour of your choice and finally stove enamelled. A range of standard colours are included in the price and special colours are available at a small extra cost. Two styles of letters are offered each with two sizes available. 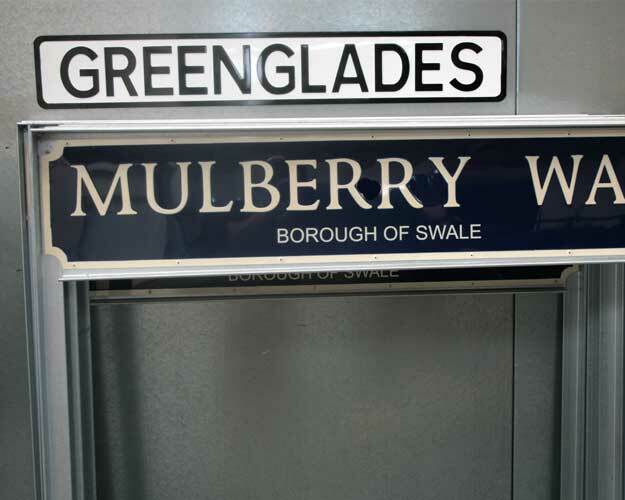 Kindersley – as the MULBERRY WAY example. Available in 89mm and 50mm upper case letters. Arrows, no thru logos and no parking logos are available. Small letters, crests or logos can be added using applied vinyls. 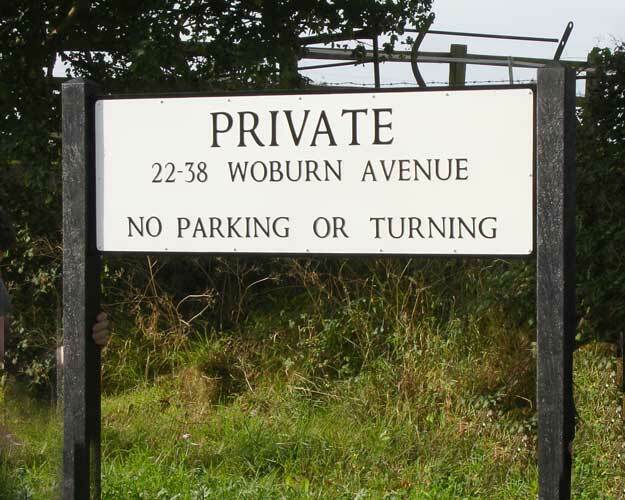 Signs for wall mounting and drilled as required, depending on the length of the sign. Galvanised frames, recycled posts, and box section aluminium posts are also available.